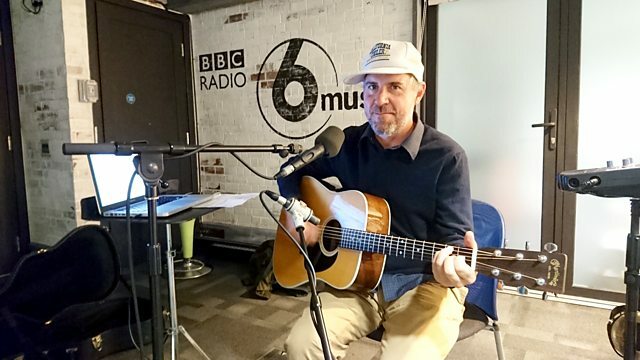 Grandaddy aka Jason Lytle in session from London tonight - can't quite believe it. Jason's on a solo promotional tour, we asked for a session and he said yes - good man. He'll be playing us Grandaddy's first new material in 10 years plus a golden oldie. Grandaddy formed in Modesto, CA in 1992, and consists of Jason Lytle, Aaron Burtch, Tim Dryden, Jim Fairchild and Kevin Garcia. Before disbanding in 2006 the band released 4 critically acclaimed studio albums. Following a brief live reunion in 2012, Grandaddy are now set for a full return and are currently in the studio working on a new album. Plus classic archive session tracks from Nick Cave's Grinderman (from May 2007), the Magnetic North (May 2012), the Small Faces (recorded for Saturday Club way back in March 1966) and the first ever BBC session Buzzcocks session (recorded for John Peel in September 1977). 50,000 Fall Fans Can't Be Wrong: 39 Golden Greats. Rough Trade Shops Post Punk Vol 1.